She sat down with ASI Standards Committee contributor and civil society member Kendyl Salcito of NomoGaia, a nonprofit research and policy organisation dedicated to facilitating corporate responsibility for the communities impacted by capital projects, to talk about what’s in store for the group and for the industry. Kendyl: There are already multi-stakeholder initiatives (MSIs) tackling issues in mining, manufacturing and technology – what was the need for tackling aluminium specifically and across its value chain? Fiona: One of the key drivers for uptake of any voluntary initiative is having stakeholders – particularly customers – who want it implemented by their suppliers. For this reason, taking a whole of value chain approach provides a platform to catalyse business-to-business (B2B) drivers. At the same time, ASI’s multi-stakeholder model also brings in civil society organisations and other stakeholders to collectively advance sustainability issues through a commodity lens. This aligns with the way companies seek to better understand supply chain risks, by reaching further back through specific commodity supply chains. Aluminium is the second most used metal in the world, and is increasingly part of a sustainability narrative in its applications. It lightens the weight of—and is a key metal for the electrification of — vehicles, increases thermal efficiencies in construction, and is being used to support a broader green energy transition. So it's important to examine the global supply of this material to make sure the values underpinning its production match those for its intended uses. Kendyl: ASI started in 2009 as a membership organisation. What led the group to become a standards and certification body? Fiona: Like many initiatives, ASI has had a long gestation! It began as a group of diverse stakeholders coming together to ask what ‘responsible aluminium’ might be. An independent study was commissioned to review approaches in other sectors, and the recommendation was to establish an independent third party certification programme. This was taken forward by a critical mass of stakeholders, and in 2012 they appointed the IUCN to act as co-ordinator for a multi-stakeholder standards setting process, resulting in the publication of V1 of the ASI Performance Standard in December 2014. The participating companies agreed to support the establishment of the necessary organisation and systems for the programme. In 2015, ASI was incorporated as a legal entity with an agreed governance and membership model. In December 2017, following further development and stakeholder consultation, the ASI certification programme was formally launched. And the first ASI Certifications were issued in April 2018. Kendyl: Does ASI now have certified auditors for every stage of the Aluminium value chain? Fiona: ASI now has 4 accredited audit firms, with another 2 applications currently under review. These audit firms collectively cover all stages of the aluminium value chain, and major regions in the world, including Western Europe, North America, Oceania and Asia Pacific. We anticipate accrediting auditors in Africa and South America as companies operating there move to initiate their certification processes over the next 18 months. ASI continues to welcome interested audit firms to contact us to begin the accreditation process. A core part of ASI accreditation is mandatory training on ASI’s standards and assurance model, which includes an exam component for individual auditors. The social component of auditing is an area where we are working on several fronts to help build capacity. ASI is working with the Association of Professional Social Compliance Auditors (APSCA), whose mission is to enhance the professionalism and credibility of the social compliance audit industry. We are also working with ASI’s Indigenous Peoples Advisory Forum (IPAF) to develop additional auditor training components on working with indigenous peoples as part of the audit process, as well as community-level training that could help prepare indigenous peoples to participate. Kendyl: Social Compliance and Indigenous Rights are terms with critical implications for human rights, but they are not often well defined. What are the human rights issues ASI aims to address? Fiona: While a human rights lens arguably also covers a range of environmental and governance issues too, the ASI Performance Standard directly addresses three main areas within the ‘social’ pillar: human rights, labour rights, and health and safety. This includes implementing the UN Guiding Principles on Business and Human Rights (requirements for a policy commitment, a human rights due diligence process, and remediation of adverse impacts), addressing gender issues, indigenous peoples’ rights including free, prior and informed consent (FPIC), respect for cultural and sacred heritage, avoiding or minimising resettlement, local community livelihoods, conflict-affected and high-risk areas, and security practices that respect human rights. In the labour rights section, the core ILO Conventions – freedom of association, right to collective bargaining, forced labour, child labour, and non-discrimination – are addressed. Additional areas in the Standard are living wage, communication and engagement with workers, working times, and disciplinary practices. Other sections seek to ‘mainstream’ human rights, such as a requirement for impact assessments that cover environmental, social, cultural, and other human rights issues (including gender). Many of these are areas which, despite in some cases decades-old Conventions and stakeholder action, are still maturing in terms of practical implementation approaches and compliance assessment. ASI has convened a Human Rights Working Group, in addition to the IPAF previously mentioned, to help us support improvement in both practice and auditing over time. Because of the difficulty of quantifying the effectiveness of approaches such as FPIC and human rights impacts assessments (HRIAs), when it comes to evaluating ASI’s impact over time, this will be an opportunity to take a case study approach to understand how ASI and companies can continue to improve. Kendyl: Some multi-stakeholder initiatives and best-practice roundtables have struggled to expand their certification processes within their corporate memberships. How will ASI address this challenge? Fiona: ASI’s membership requirement for companies in the value chain is that they must certify at least one operation or product/programme area within 2 years of joining ASI. However, ASI’s view is that the design of the Standards themselves needs to create inherent incentives for broader implementation and uptake. We were delighted to see that the first ASI Certifications to Rio Tinto in April 2018 covered a bauxite mine, an alumina refinery, five smelters, and associated facilities including power generation and ports – well beyond a single operation focus. We anticipate that the majority of members will go beyond the minimum over time – our goal is that responsible aluminium becomes a market expectation, with a wide range of companies that want to demonstrate that they produce and source responsibly. Kendyl: As part of its commitment to implementing the UN Guiding Principles, ASI has a requirement for HRIA. How will ASI ensure these assessments meet the standards of adequacy laid out in the Guiding Principles? Fiona: There are three main ways ASI supports capacity building in this area. First, by educating companies themselves about how the UNGPs should be implemented. ASI has implementation guidance and training available, including deeper dives into key issues and tailored tools where appropriate. Second, auditors need training on good practice and what is expected from companies as evidence of implementation. Audits of UNGPs implementation are still relatively new, and the work of organisations like APSCA and others can complement ASI’s efforts in this area. Third, capacity of affected rights-holders themselves is also key. We are keen to reach out to Indigenous communities and workers so that they understand what ASI’s standards mean for member companies connected to them, what an audit process involves, and what they should expect from an ASI company in terms of practice. ASI publishes a summary report of the audit findings for each individual certification, which identifies the company’s conformance levels for each criterion in the Standard and includes a summary statement from the auditor against each (here’s an example against the ASI Performance Standard). Stakeholders can review these and raise any issues with the company or with ASI via its Complaints Mechanism. Kendyl: The ASI Standards address a range of challenges that have faced bauxite miners, aluminium smelters, recycling facilities, and end users. What capacity does ASI have to help companies implement the standards? Fiona: ASI is working on three main strategies for capacity building in the value chain. The first is our new educationAl program, which is developing a range of webinars and face-to-face training sessions for members and interested stakeholders. We lead most training but will also include peer learning opportunities, for example from companies that have been through the certification journey, and insights from stakeholder groups, such as ASI’s Indigenous Peoples Advisory Forum. The second is the design of ASI’s online assurance platform, elementAl. It takes companies step by step through the Standards and connects directly into implementation tips contained in the published Standards Guidance document. It also features functions to enable companies to identify and track corrective actions over time. And the third dimension is ASI’s Registered Specialists programme, which offers a list of consultants and advisers that are knowledgeable in particular areas of ASI Standards that can provide support services to members looking for more tailored advice. Kendyl: Where are the most powerful pressure points ASI has identified for moving the industry forward? Fiona: ASI’s Strategic Plan identifies two key elements to support uptake and implementation: downstream customers and China. Downstream users of aluminium are the key to creating market signals for the production of responsible aluminium and thus the implementation of ASI Standards. Relevant sectors include automotive and transport, building and construction, packaging, consumer products and general engineering and technical applications - a wide range of industrial and consumer-facing companies, some with long and complex supply chains. The second key element is China: more than 60% of the world’s aluminium is produced there and it is essential that ASI be inclusive and work to bring the Chinese industry along on this journey. Translations, regular outreach, and platforms in China are some of the important practical elements to support this. Chinese companies are very responsive to their customers – which can include CSR expectations of suppliers. ASI’s responsibility is to make its standards and programmes accessible to build on this supply chain dynamic. In April, we released Chinese translations of the two ASI Standards and Guidance documents and are planning several outreach and training visits to companies, auditors, and stakeholders this year. Kendyl: As you mention, China is the world’s largest aluminium producer. Tackling human rights in many bauxite and aluminium producing countries is a real challenge. How is ASI approaching that? Fiona: As we know, countries and their sectors and companies are not monolithic. Where there is ongoing customer and investor engagement on issues such as human rights, we have seen companies operating in challenging countries respond accordingly. Sometimes this requires the necessary local institutional support. 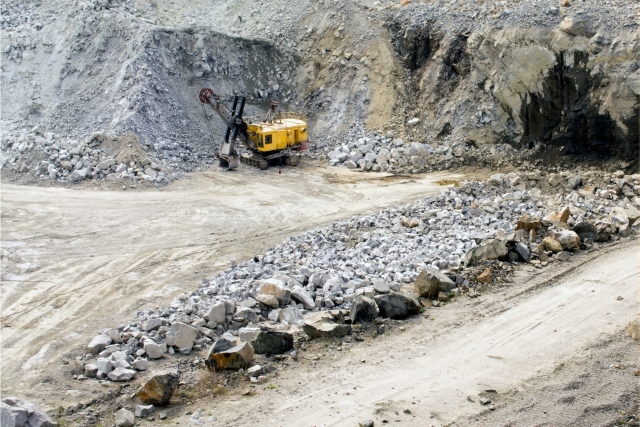 For example, while China did not initially engage in the development of the OECD Due Diligence Guidance for the Responsible Supply Chains of Minerals from Conflict-Affected and High-Risk Areas, the Chinese Chamber of Commerce of Metals, Minerals and Chemicals Importers & Exporters (CCCMC) later developed the Chinese Due Diligence Guidance for Responsible Mineral Supply Chains. It applies to all metals but has a particular focus on cobalt at present, and the effort has brought in a coalition of collaborating upstream and downstream companies. At other times, companies themselves take the lead to address customer concerns and/or improve market access. ASI recognises that there can be particular challenges for human rights implementation in some country contexts. However, this is also where the most impact can ultimately be made, if we can work to move these issues forward. Kendyl: How does certification leverage the pressure points that arise through aluminium’s value chain? Fiona: In both the technical sectors where aluminium is used and in China, certification programmes for quality, environmental management, and technical specifications are very widespread. So the general concept of certification is not new, though the breadth of ASI’s scope on sustainability – covering environmental, social, and governance issues – is new for many. Certification can offer better risk management from a customer perspective, and better market access from a supplier perspective. Kendyl: It can be difficult to ensure compliance with standards – audits have limits, as do external reviews. What corrective actions are locked into the ASI certification process to ensure it is a platform for change? Fiona: There are at least 3 layers of corrective action built into the ASI programme. The first is through the certification process itself, where minor non-conformances require corrective action by the company which will be reviewed at the next surveillance audit. Second, ASI provides an oversight function to audit reports to ensure they have been carried out in accordance with the ASI Assurance Manual. This means implementation questions and areas of non-conformance by companies, as well as any issues with the audit process or reporting by auditors, are logged and fed back into training through the educationAl programme. Finally, ASI is developing its Monitoring and Evaluation program, and an independent Oversight panel, which will also serve as higher level review cycles that can identify broader system areas for improvement. Kendyl: How do you foresee the ASI evolving in the future? There are a number of Working Groups that ASI has established, such as in the areas of Human Rights, Biodiversity and Ecosystem Services, GHG, and Material Stewardship and Recycling, where future revisions to ASI Standards will be identified. More generally, innovations in the sustainability standards landscape are looking at a number of important issues such as how best to take advantage of the data and IT revolution, how to develop more participatory models of assurance, and create opportunities for interoperability across programs and initiatives. These will continue to transform how certification programmes and the ASI will operate in practice as part of an evolving vision jointly shaped by all key stakeholders.